This is a digitally enhanced photograph. Topaz Labs' Simplify 4 was used to add watercolor effects. Each station shows a different scene and is accompanied by a plaque with several Bible Scriptures. Each plaque also asks for special prayer requests; most are for the families that donated that station. There are 15 stations in all, with the last station being Christ’s resurrection. Huberto Maestas was the sculptor for all of the statues. 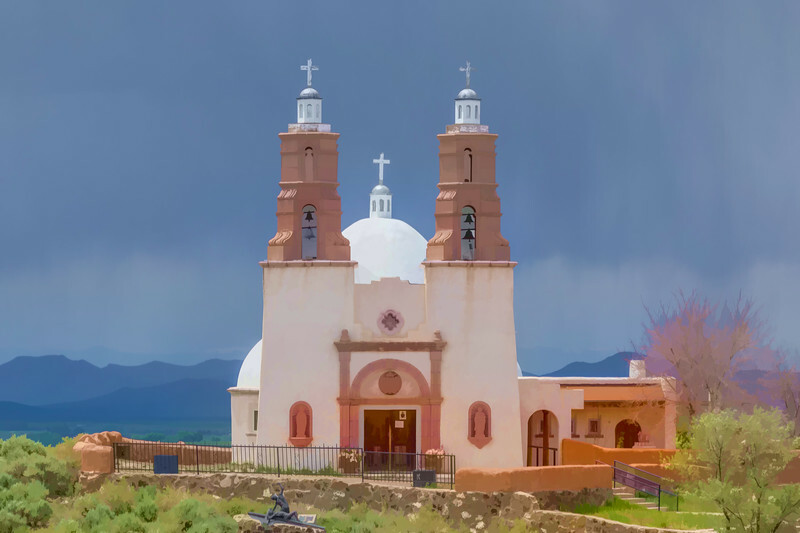 The Shrine is located on a mesa in the center of San Luis, Colorado's oldest town (established in 1851). The Shrine is formally known as "la Mesa de la Piedad y de la Misericordia" (Hill of Piety and Mercy). The image was made using a Canon EOS 5D Mark IV digital body, a Canon EF 180mm f/3.5L Macro USM lens, at f/16 for 1/40 second at 100 ISO.